Douglas Allingham, PEng, is Executive Vice-President of AECOM, a global multi-discipline engineering firm. He is based in Whitby, Ontario. He has served on a number of boards and organizations relating directly to his professional work. 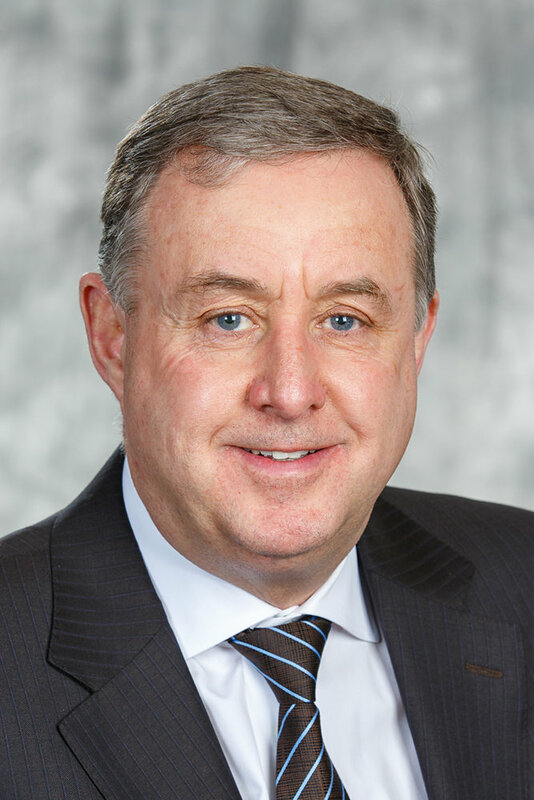 He was a member of the Central Ontario Smart Growth Task Force; former President and Director of the Canadian Institute of Transportation Engineers; and Director of the International Institute of Transportation Engineers. He is co-author of the Canadian Capacity Guide for Signalized Intersections, which is used by traffic engineering professionals across North America. He has also been extensively involved in community work. Most recently, he was appointed to the boards of both Durham College and the University of Ontario Institute of Technology (UOIT), and to the Abilities Centre board in Whitby, Ontario. From 2004 to 2013, he served as a Trustee on the Lakeridge Health Board of Trustees. He served as Chair of the Board from 2008 to 2012. He also served as a Director with the Town of Whitby Chamber of Commerce from 2003 to 2006. In 2012 he was awarded the Queen Elizabeth II Diamond Jubilee medal for service to the community.